Footer 1, 2, and 3 display in three columns. Footer 4 displays full-width at the bottom. 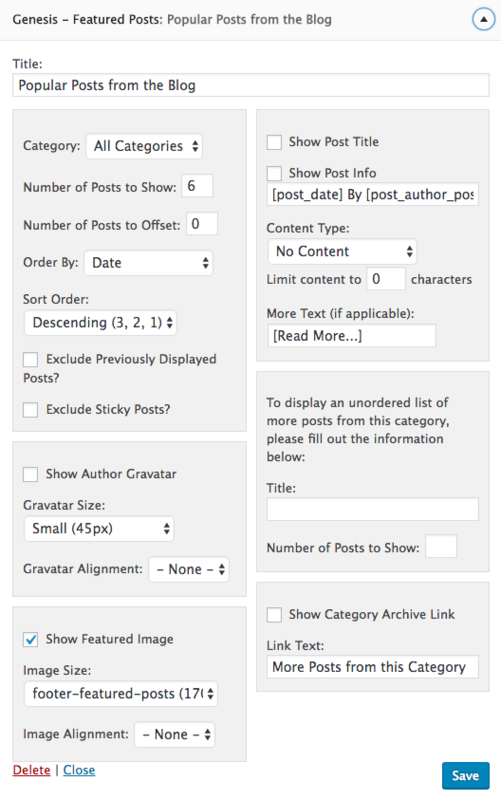 To add widgets to your footer, go to Wordpress > Appearance > Widgets. Drag widgets from the left into the widget areas on the right. Below we'll go over what widgets are used in the footer in the Audrie demo. Custom HTML widget with social icons code; title "Get Social"